After nearly a year of work, the city of Grover Beach officially opened the door to the medical marijuana industry. At their May 15 meeting, members of the Grover Beach City Council approved a zoning ordinance and permitting regulations for several types of medical marijuana-related businesses, including nurseries, testing labs, manufacturing facilities, and even brick-and-mortar dispensaries. Under the newly passed ordinances, all the medical marijuana-related businesses will be confined to three industrially zoned areas within the city and can begin applying for permits June 15. 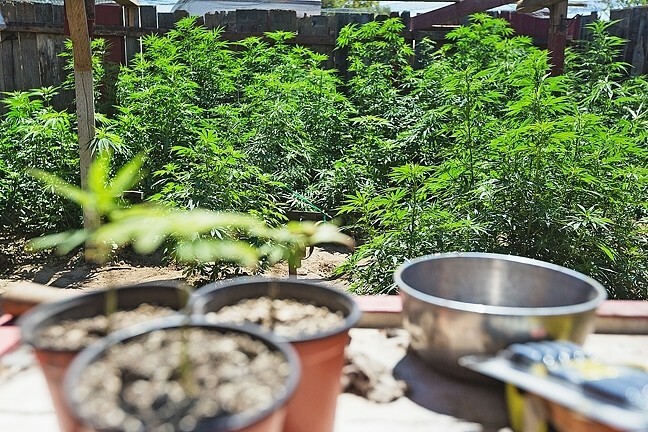 GOING GREEN: Medical marijuana businesses can begin applying for permits to operate in Grover Beach next month, after the City Council approved new zoning and permitting regulations May 15. According to city staff, any such business looking to operate in Grover Beach will have to go through a two-pronged approval process and adhere to a detailed set of conditions covering lighting, odor control, and security and safety measures. Those permits will also need approval from both the Grover Beach Planning Commission and the council itself. The permits must be renewed on an annual basis. Combined with a voter-approved tax, city officials believe Grover Beach could eventually see between $1 million to $2 million in additional revenue annually. Despite that potentially lucrative payoff, some residents like Greg Bass urged the council not to allow medical marijuana businesses to operate in the city. At the meeting, Bass worried that additional revenue may not be worth the negative impact he believes those businesses will have in the city. Bass worried that pot from dispensaries might find its way to local children. Others repeated worries that marijuana businesses, flush with cash, could push out existing businesses in the designated industrial areas. However, Grover Beach resident Laurie Pippin congratulated the board on welcoming the new industry into the city. Pippin, who owns property in one of the designated areas, told the council that she became receptive to the idea after educating herself about the issue. Councilmember Mariam Shah also defended the city’s approach, noting the lengthy process of crafting, revising, and discussing the ordinances in previous meetings. Shah warned that continuing to stall on passing the ordinances could hurt the city in the long run. “The more we sit here wringing our hands, the more the legitimate industry passes us by,” Shah said. The board did make one change prior to the vote, dropping the number of dispensaries that will be allowed to operate in the city from four to two.